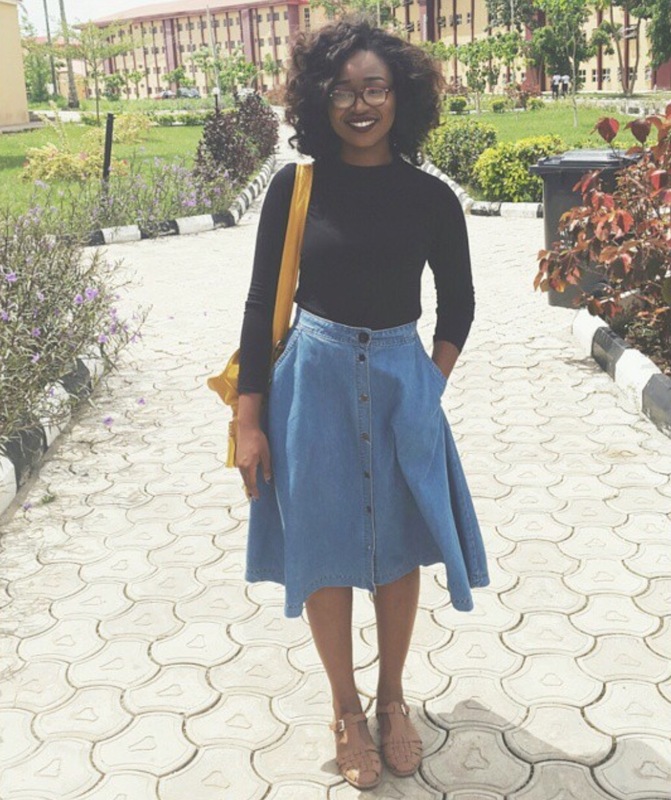 Instagram Style Feature #6 – Amaka Charles! Hey lovely people! 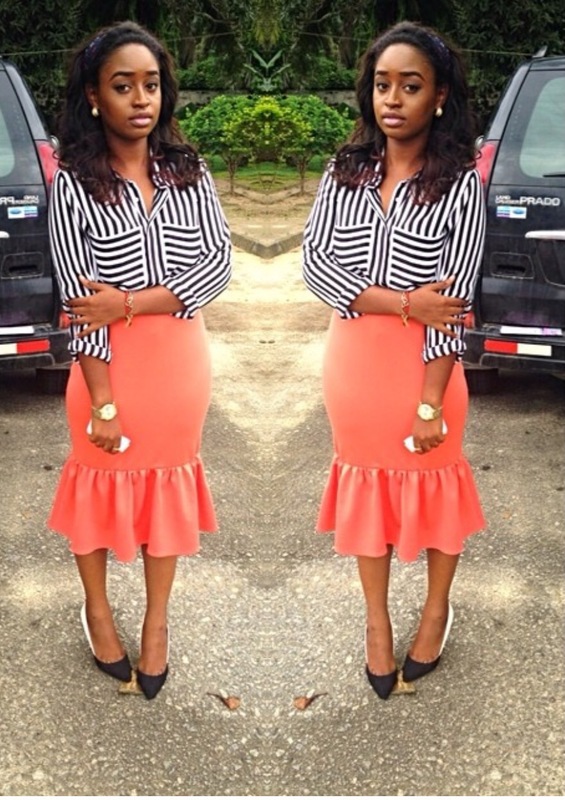 We’re here with a style feature on the modest but fashionable Nwamaka Charles (Instagram: @Nwamaka_Charles). She’s an Electrical Engineer that’s currently on her national youth service game, and will be rounding up in 2 weeks. She’s looking to fortify her engineering dream with a Masters Degree in Power Engineering – yes she’s no ordinary woman! ETP just had to get an interview with her – let’s get right into it shall we? ETP: Hey Amaka! Thanks for taking out you’re time to speak to us today. Amaka: I always wanted to do an interview like this so thank you for the opportunity! ETP: You’re putting two different trends together here – and it workssss! Please tell us what went behind putting this outfit together and where you were off to. Well, it didn’t look like two different trends to me. I love vintage you know! So every outfit I piece together has to have that vintage flare. Yeah! So the skirt did the magic for me; I mean look at that skirt ! Lol. Again stripes are divine considering they give the slim fit illusion ✅! I got the top at this store in Delta state. It was a store opening, I felt I should go home with something (Courtesy I think lol) so yeah the stripe called me. The skirt I got from an online store on Instagram (@mollysales14) they have really trendy stuffs and not so pricy! It was a beautiful Sunday I had to look peng for God. ETP: Not many people can get away with wearing a saree but you did so beautifully – was this ready made or custom and how do you feel about wearing other culture’s clothes? Amaka: Ei! This is my favorite look this year! This saree was everything! It was so comfortable! When I got it at first I was a bit skeptical about pulling it off you know! It has like a wraparound skirt with an extension that drapes on the shoulder. I felt like I was going to be too stressed the whole day ei! But when I put it on (trust it’s a lot of work to put on), I was surprised at how it sat on my shoulder without any fuss! Probably because of all the heavy embellishments. It was a gift from my mum from India and a final attempt to get me to wear red haha! It worked. And yes it was custom made. Actually, most of these sarees around are custom made. Wearing other cultures clothes are fun! Well that’s in my opinion. It’s something different so why not ? ETP:Eyy so it didn’t fall out of place at all? Amaka: Na! It just stayed there like those palace soldiers in England. ETP: *Laughs* what a comparison! ETP: Here we have you looking all casual and chic – your skirt is so nice but at the same time, it can be worn in different ways and make people cringe – how do you pair your circle skirts to stay looking nice? Amaka: Yes yes circle skirts are a bit difficult to slay in. Even you would agree. Anyways! Hmm I have this dissatisfaction with my legs lol (no offense my cute supportive legs ), so, when I’m not wearing jeans, I always want to wear something falling below the knees and not fitted as well. Brings me to these beautiful skirts! I have a whole closet of them and palazzo Trousers as well. A-line, skater or circle skirts should, in my opinion, be paired with a long sleeved, preferably plain, top because it accentuates the waist line giving it a slimmer figure 8 look and that’s what we all want yes? It’s the best way to look classy and chic. Here I paired it with a turtle neck black top = perfect figure 8 illusion … and the sandals to complement the 80’s skirt also for comfort because I was walking a lot at the time. ETP: Thank you! You’re totally right these circle skirts can be tricky Thanks for this – you’ve certainly helped a whole lot of people. ETP: Last look! This one is a serious fave of mine – how you could make a loose fit dress look this good is mind-boggling – for those of us that would like to pull off this look – how else would you advise someone to wear this dress? Amaka: Yay! I was hoping I would talk about this one . This olive Beauty is from Splash *drum roll please* I got it at a mall in Dubai. Shift dresses have my heart to be honest. Look at that length AMAZING! everything about this dress satisfy me. So you know regular Sunday damage yeah I was looking through my closet and a halo appeared over this number famm!! I had to obey lol. Accessories always just follow up after I pick a dress or an outfit. I wore a turban because I had to cover my hair (Roman Catholic way of life sister). Here’s the gig, a shift dress can always easily get you a “nay ”… yes sadly. But! Once you get it right mahn you get a standing ovation . THE BEST way to get that deserved standing ovation is to stay simple. The shift dress doesn’t need too much “serenre”. Minimal make up and accessories. For those canoe neck shift dresses it’s best to have a nice neck piece that falls just about one inch below the neckline and a pair of sandal heeled shoes for that special occasion. NEVER WEAR COURT SHOES WITH A SHIFT DRESS please . To dress it down for a movie, pair with a long line chain necklace with a gypsy-chick type pendant. Ballet flats will look okay but a studded flat sandal will be perfect! Let your hair down or pack it up in a bun and you are good to go! Amaka, how would you describe your style? 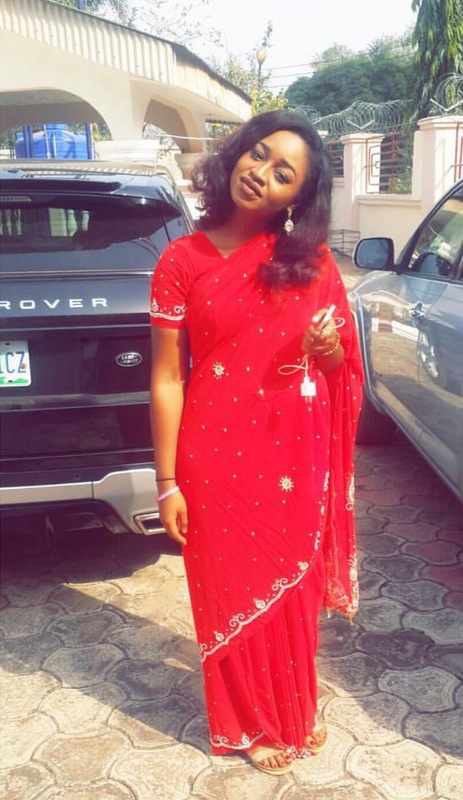 Amaka: I’d describe my style as classy chic. I don’t show a lot of skin. Some of my personal choices anyway. Plus I always want to be comfortable so I pick comfort over any trend. 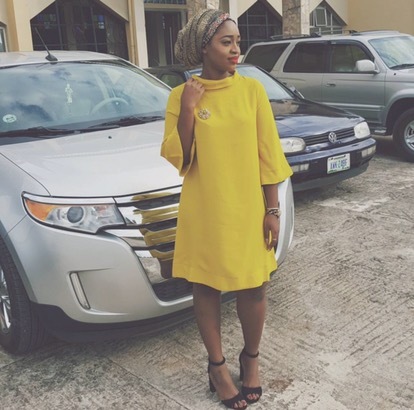 Amaka: My statement pieces! Hmm… I used to always have plans of changing them to look a bit different you know but I just get lazy and give them away. ETP: Amaka, you’ve been amazing – thank you so much for your time.